Hermann Wischnewski was born on 9 February 1917 at Tensefeld in the Eutin region of Holstein.  Wischnewski was posted to I./KGr. zbV 700 as a transport pilot on 17 December 1941. He flew many difficult supply missions over the Eastern front, including missions in the Demjansk battles of spring 1942. In October 1942, Wischnewski transferred to KGr. zbV Frankfurt based in the Mediterranean theatre. In July 1943, Wischnewski underwent conversion training on to single-engine night fighters. He was posted to JG Herrmann performing Wilde Sau missions intercepting Allied bombing raids by night. 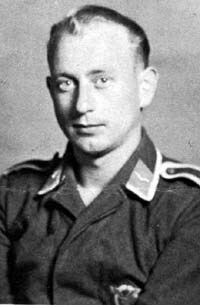 Feldwebel Wischnewski was assigned to 3./JG Herrmann. On the night of 30/31 July, Wischnewski recorded his first victory when he shot down a RAF Stirling four-engine bomber near Remscheid. In late August, 3./JG Herrmann was redesignated 3./JG 300. By the end of September, Wischnewski had four victories to his credit. By November 1943, Oberfeldwebel Wischnewski was serving with 1./JG 300. On the night of 18/19 November, Wischnewski claimed two RAF four-engine bombers shot down from a force of 300 raiding Mannheim to record his fifth and sixth victories. By the end of the year, he had seven victories to his credit. Wischnewski recorded five victories in January 1944, including doubles on each of the nights of 2/3 January (9-10) and 28/29 January (11-12). Wischnewski would also record many day victories when JG 300 was switched to the day fighter role. Serving with 2./JG 300, he recorded his first day victory on 21 June 1944, when he claimed a USAAF B-24 Herauschuß. On 29 July 1944, Fahnenjunker-Oberfeldwebel Wischnewski shot down two USAAF B-17 four-engine bombers and a USAAF P-51 fighter but he was then shot down himself. Wounded in the left leg and foot, he baled out of his stricken Bf 109 G-6/U2 “Red 2” near Gelbstadt at low level. The force of his parachute opening wrenched his arms out of their sockets. Because of the low-level bale-out, Wischnewski’s landing was heavy resulting in further injuries. He was hospitalised at Apolda for six months. Wischnewski’s injuries precluded a return to combat. Hermann Wischnewski was credited with at least 24 victories in over 500 missions. The preponderance of his missions were flown as a transport pilot. He recorded 18 victories by night. Of his 6 day victories, four were four-engine bombers.